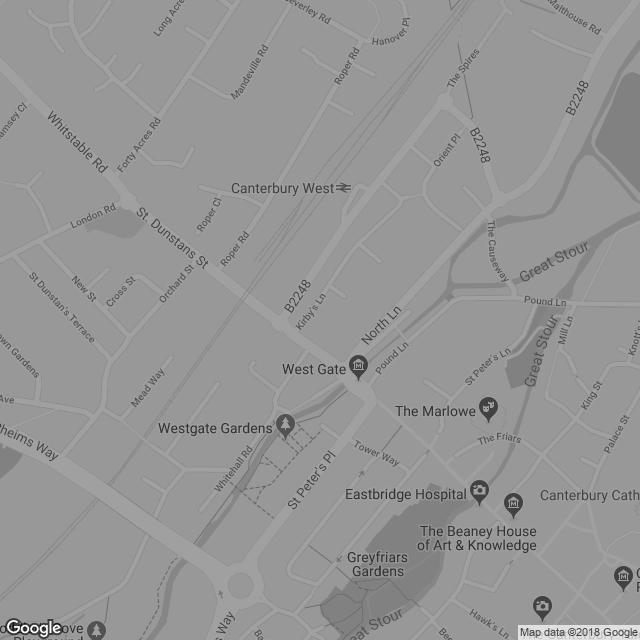 Corinthian, a pensions and benefits firm were looking to stand out from the crowd within a generally safe market place. 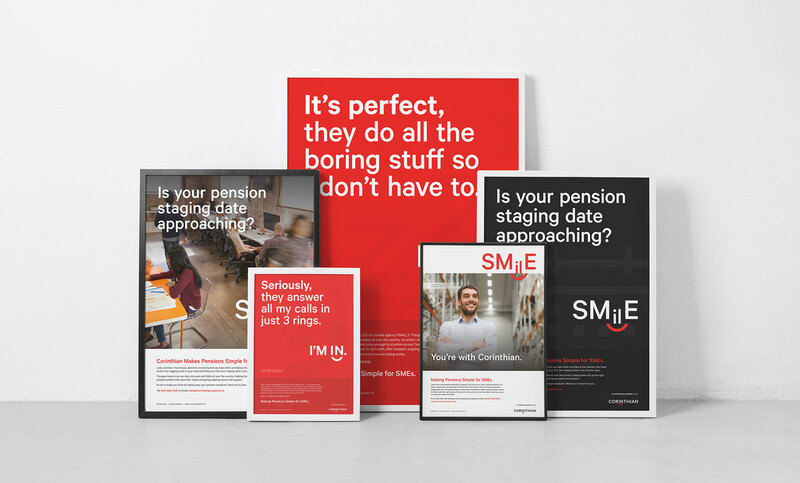 Corinthian, a team of pension and employee benefits experts with over 25 years experience, needed our help to uncover what makes them different, create a clear brand proposition and communicate it to their customer base. 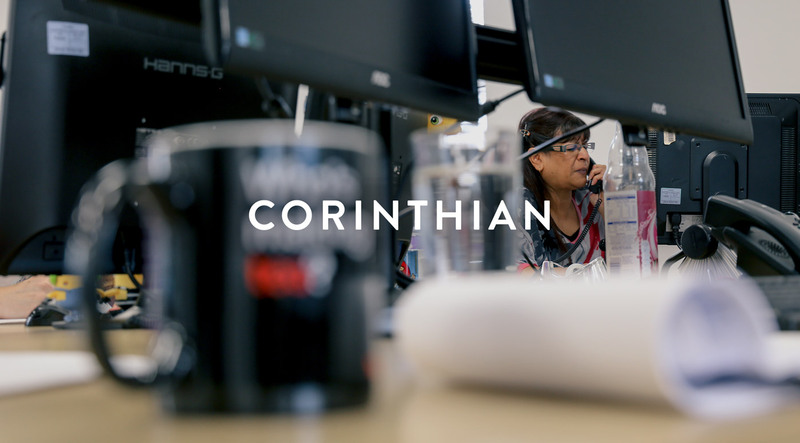 We interviewed individuals within the team and it soon became clear how Corinthian are fully invested in their customer experience. They really did want to make a difference and went about their work with a smile on their face. This personality was to become the nucleus of the brand positioning. Despite the fact that Corinthian had rebranded not too long ago, we felt it crucial to give them the right foundations in order to build an engaging and easy to understand message. We therefore created a new corporate identity that represented Corinthian as modern and trustworthy, combined with a friendly smile-line under the word IN. The word “IN” is very relevant to Corinthian in that their employees are invested IN the business, their clients are INvolved in the whole process and the end users are opted IN to the benefits schemes created. The tone of voice injected an informal language seldom seen in the financial sector, portraying Corinthian as a straight talking, approachable and friendly organisation. The result was a cohesive, easy to understand proposition, not afraid to be different and communicated consistently at every touch point. This new approach not only changed the external perception, but also the internal attitude to everything that is done. For example, the first project after the rebrand was an exhibition stand for Kent Vision Live, and despite the fact that it was a small basic stand space, the motivation to think differently enabled Corinthian to win the Most Engaging and Interactive Stand, creating its own free local PR for the company.